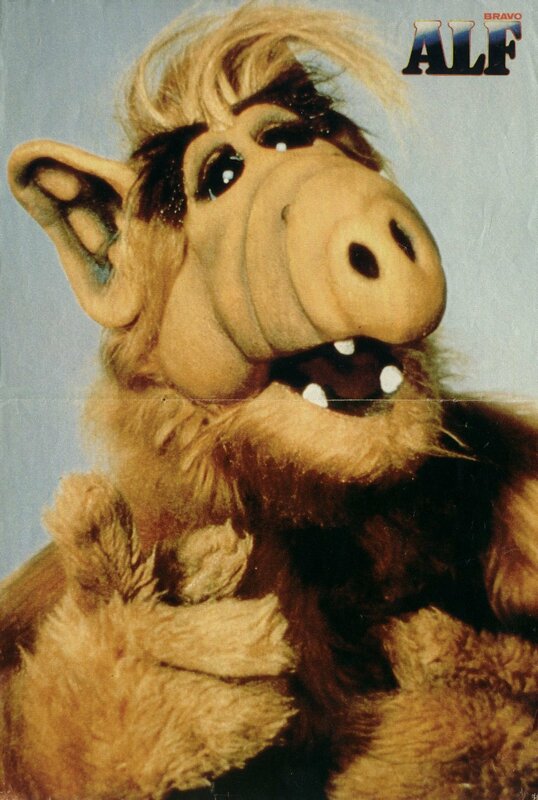 ALF was a great TV show. But let’s be honest, you may not want to own the wise-cracking, cat-eating alien’s first three seasons on DVD. That’s why it’s great when you see the gift receipt just laying in the box after you pull out the gift. You avoid the awkward “It’s okay if you don’t like it” (No, no, I do), “I wasn’t sure if it was something you wanted” (No, no, it is), “They have it in black too if you don’t like green” (No, no, I like green), or “I can give you the receipt if you don’t like it” (No, no, I like it) conversations. Yes, when the gift receipt is already in the box, there are no questions asked, no questions answered. It’s just sitting there, a secret wink, a private head-nod, a quiet understanding between you and the very kind, very generous, very thoughtful person who gave you the present. Well, I was close. Maybe that’ll be #865. Man, I want the Wheel of Fortune boardgame. I really enjoy your blog posts – thanks for sharing. Thankfully none of my gifts this year required a gift receipt. Hope none of yours did either! I would kill everybody in my neighborhood for a shot glass chess set. Probably not, but I’d LOVE to own one, regardless. That’s the beauty of the gift receipt – it does not display the price – just proof that it was purchased, and it lets you return it with no hassle. Not quite so awesome, though, when you discover that the gift was purchased from a shop which has closed down. I just realized that I bought my boyfriend’s sister a shot glass checker set for Christmas 5 years ago. I now feel awful. This is like Echo Guilt. You don’t have to do one a day if it’s too fast… Put the receipt in a closed envelope that states contents and gift-you can toss it somewhere with others and use in case it’s ever needed, also easier to find than from a pile of receipts since letters state what they contain. Sadly the people who give me gifts would never have the receipt in the box, I would have to beg for it…or just put the bad gift on ebay. I don’t know you, but I’m totally getting you a sweater that doesn’t fit for Christmas this year – tags cut off, receipt thrown away… and it will be green. Been there, done that. My dad bought me like, five 90s style SWEATERS off this website with sales on it all the time (no refund or return)… He described them really nicely (he said they were cardigans), and then they turned out to be really mucky colours… like rusty red, grey/blue, olive green, goldy white and dark mustard yellow >P he still thinks i love them. The only time I’ve seen that alf thing was on some anti-drug video back in 2nd grade… -_- don’t ask… It was a weird weird weird school. however I’m looking out about it very long time and I can not discover any information, and it is important. i completely have fun studying your blog. dont stop posting the superb high quality information! lol, i thought you said AFL was a good show. Coz footy definitely ISNT good to watch on tv… i dont know why so many people are crazy about it. BRAVO on this Awesome Neil. And Happy belated Christmas’ to everyone in Awesomeland! I’d actually love a fondue kit :) besides its really the thought that counts! Some truly nice and useful information on this website, also I think the pattern has got wonderful features. If you are a full-time college student, you probably don’t earn that much in an entire year. only constructive possession is with lender. credit or no credit is not a problem.